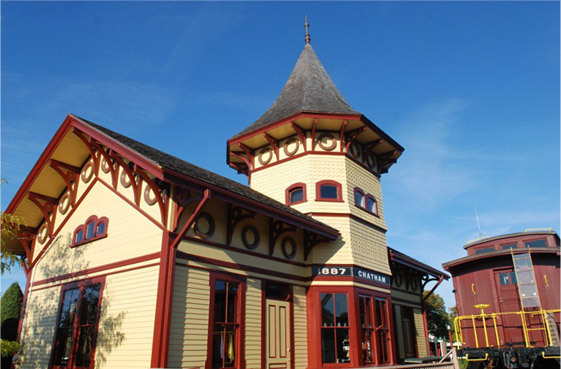 The Chatham Railroad Museum is located in the beautifully restored 1887 railroad depot that served Chatham residents and visitors for nearly fifty years. Featuring an architectural style called Railroad Gothic, the building contains hundreds of exhibits and the New York Central model locomotives used at the 1939 New York World’s Fair. The museum is child friendly and includes a 1910 restored wood caboose available for children and adults to explore.